"Off the Map" opens at Art Access Gallery (230 S. 500 W., Salt Lake City, UT 84101) this Friday, March 17th. Last fall, several artists gathered and threw darts at a map of downtown Salt Lake City. We then had to paint something inspired by where our dart landed. My painting (above, 24x24 inches) was inspired by 300 South Main Street. 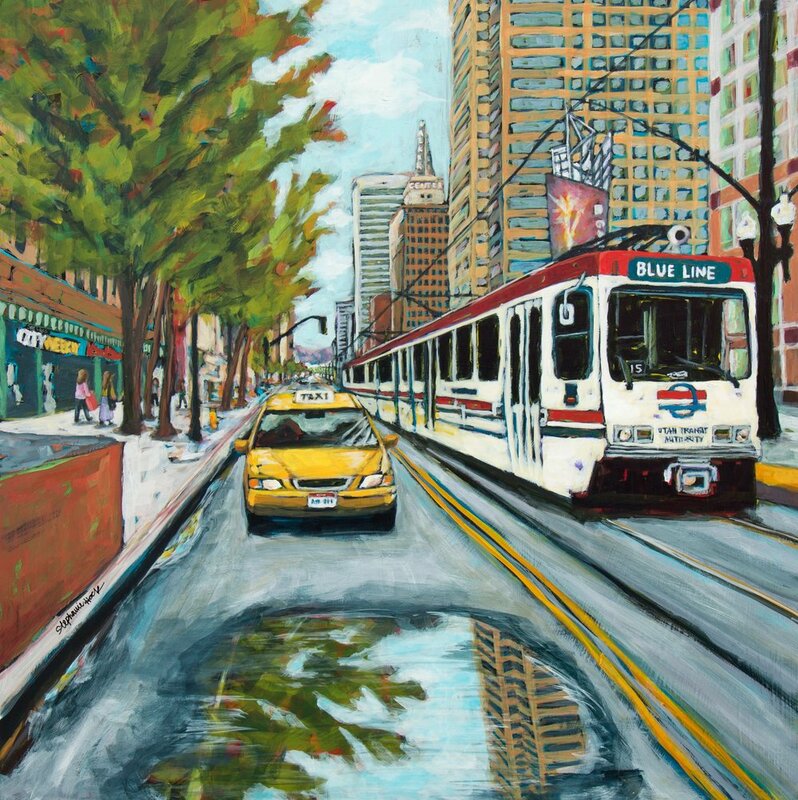 I love Salt Lake City and it's so fun to paint familiar corners of this home city of mine. Come see art by several great local artists at gallery stroll this Friday from 6-9:00 pm!